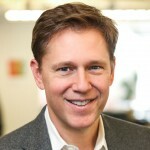 Kevin Martin is the Vice-President for Mobile and Global Access Policy at Facebook, where he oversees, among others, Facebook’s free access program Internet.org. Previously, he served as Chairman (2005-2009) and Commissioner (2001-2005) of the Federal Communications Commission. During his tenure, the FCC adopted a non-binding policy statement on net neutrality which led to the 2010 Open Internet Order. After leaving the FCC he joined the Aspen Institute as a Senior Fellow at the think tank’s Communications and Society Program, and later the law firm Squire Patton Boggs LLP as a Partner. He holds a B.A. from the University of North Carolina at Chapel Hill, an M.P.P. from Duke University, and a J.D. from Harvard Law School.